Current Project, procress or thoughts. Probably about gundam or monster hunter. Progress on the matching illustration of the Nu gundam, I'm pretty excited to finally work on this. Great timing with the RG gunpla coming out as well. 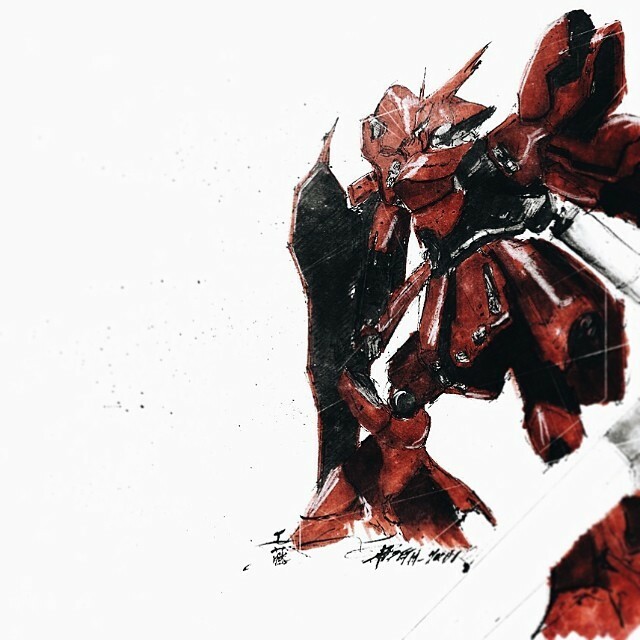 I've drawn the Sazabi so many times in the past and the Miss Sazabi is the base for my custom unit Cardinal Rose. 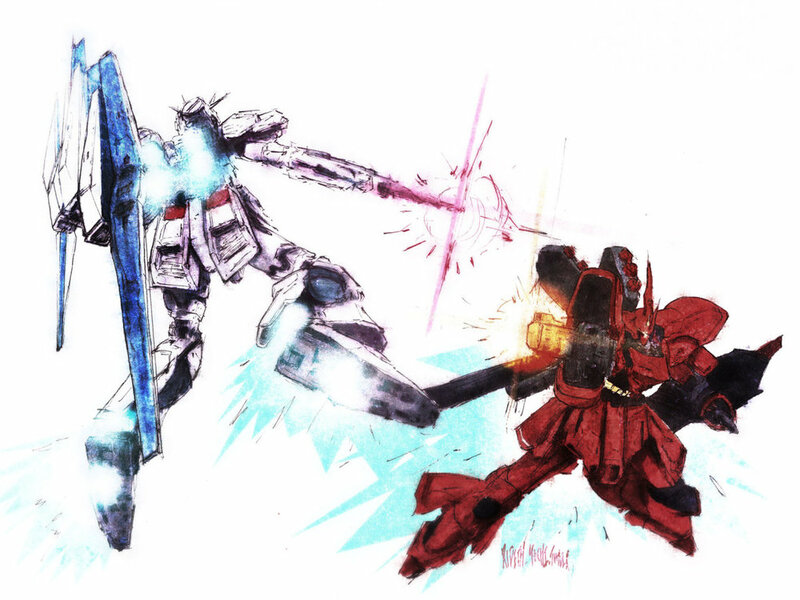 I know this unit means quite a lot to many gundam fans, myself included. A part of me has been avoiding finishing this, worried I couldn't do it justice. But I enjoy working on it enough to push past those feeling. Returning to Char's Counter Attack, I saw this as an opportunity to also return to large iconic portrait series I started 3 years ago. At the time, just getting started in illustration, I needed work that would help define my voice, and found it in the Banshee/Unicorn minimal pieces. Returning to the same composition, now with a number of years of experience, is shouting a new voice. Although I'm touch worried I'm losing something by veering away from minimal abstraction, I'm excited to render the Nu Gundam and soon Sazabi in a new light.